The departure of Luis Suarez to Barcelona in 2014 meant that Liverpool had just lost one of the most prolific strikers in the club's history. Brendan Rodgers, the then manager of the club, couldn't replace the Suarez the following season. What followed was inevitable. 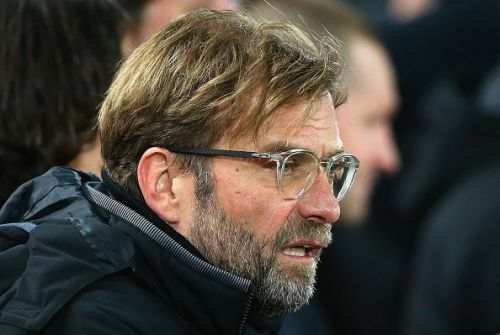 Free flowing goal-scoring was clearly missing.The start of 2015 season saw Liverpool in a poor run of form which finally led to Rodgers's sacking after a 1-1 draw in the Merseyside derby. Jurgen Klopp is a manager who likes his team to be very fit and agile. Continuous pressing on the ball and fast counters are his way of trade. So, the arrival of fast running players at the team was imminent. Sadio Mane and Mohammed Salah have been the standouts. Other notable signings include Alex Oxlade-Chamberlain, Georginio Wijnaldum, and Joel Matip. With the ball, Liverpool is one of the best teams to watch in the country. Fast passing, running behind defenders to follow the looped ball above, and then the finish. It is something staggering to watch. Without the ball, the players have their jobs well directed. Continuous counter pressing and applying pressure to an opponent have indeed led to a large number of goal scoring opportunities. As a fan you couldn't ask for more from Liverpool's attack. But the part which causes problems is Liverpool's forever shaky defence. Although Jurgen Klopp has laid importance in that position, it is not quite enough. Individual errors and poor defensive displays have been the point of banter for Liverpool since years. But the buy of Virgil van Dijk shows Jurgen Klopp's aspirations and long-time goals for the club. What the team requires is consistency. The recent 4-3 win over title front-runners, Manchester City, saw this team give one of its best performances at the highest level. However, Liverpool lost to bottom-of-the-table side Swansea the very next week. These recurring stutters need to stop and.Jurgen Klopp is seemingly building his team towards that. The arrival of Naby Keita from RB Leipzig in midfield next season is a boost. It somewhat explains how top players around the world are considering moves to Anfield. This hasn't been the case in the recent years. Big players turning down moves to Liverpool has been a usual affair. But with the arrival of Jurgen Klopp, this has changed. With Manchester City playing some extravagant football this season, Jurgen Klopp has been under constant pressure to finish well on all surviving fronts. Also, the next season is something Jurgen Klopp considers being of great importance. With funds from Philippe Coutinho's sale, Jurgen Klopp is keen on signing his targets, and none other. A goalkeeper, a centre-back, and an attacking midfielder are positions to be filled, come the next transfer window. While it is highly unlikely for Liverpool to win silverware this season, 'Project Liverpool' has progressed a lot. The team has performed rather consistently as compared to past seasons and the weakest spots in the squad have been improved upon. Liverpool are certainly on the rise and next year could definitely be their year.